Person(s) unknown punched a hole in the gas tank of the victim’s vehicle and stole an unknown amount of gasoline. Total loss including damages was $3,500.00. Person(s) unknown stole the victim’s vehicle, (black 2016 Chevrolet Silverado) from the location. The vehicle was later recovered from the 23500 block of Newhall Avenue. The victim stated that she was missing a set of her vehicle keys. Person(s) unknown stole the victim’s unlocked vehicle (white, 2012 Honda Civic) which was parked in front of the location. The victim stated she is missing a set of her car keys. Person(s) unknown forced entry into the victim’s garage and stole various Milwaukee and Craftsman power tools, and four 20” chrome wheels. Total loss was $1,200.00. Person(s) unknown stole the victim’s unlocked 1996 Toyota 4Runner. 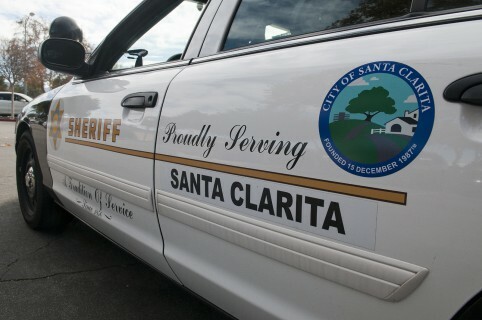 The vehicle was later located in the Newhall area. Person(s) unknown stole the victim’s 2011 Nissan Versa. The vehicle was later located in the Newhall area. Person(s) unknown entered the victim’s residence and stole items. – Don’t leave any valuables in sight. – Don’t hide spare keys as they can be found. – Always lock car doors. – Don’t think it can’t happen to you. Take preventative steps before, not after the crime.